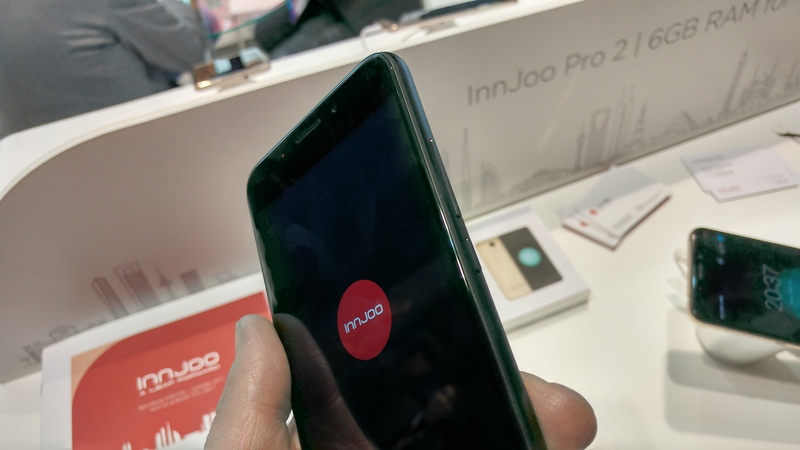 MWC – InnJoo Pro 2 Hands-on. 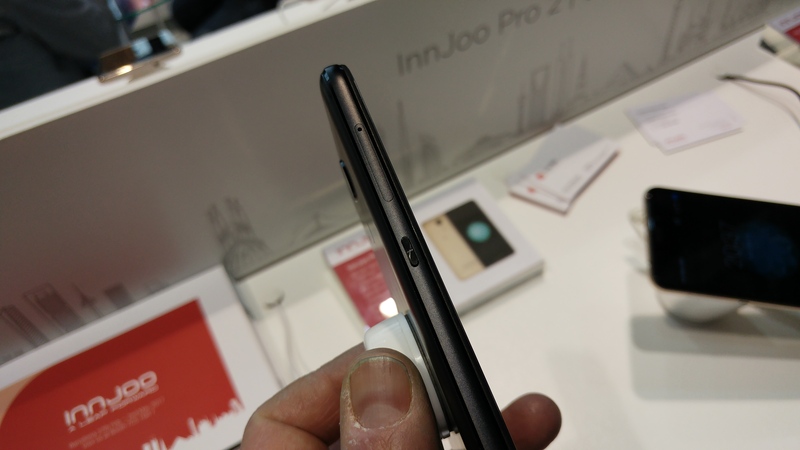 If you’re in certain areas of the world you can buy this InnJoo Pro 2. 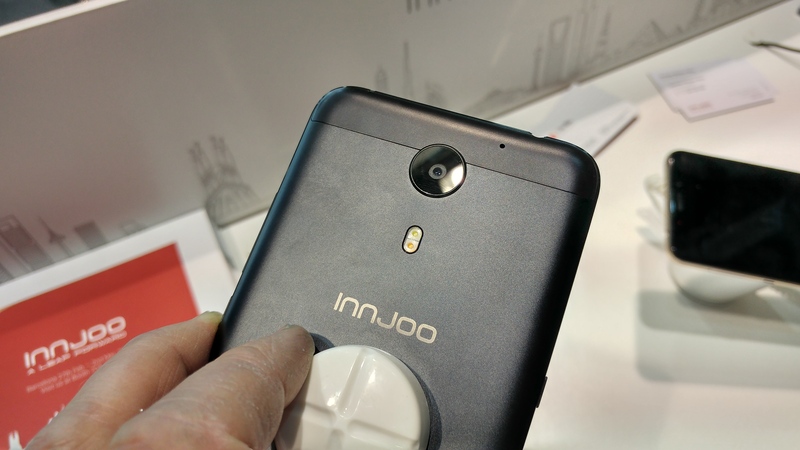 InnJoo are base in Dubai and seem to produce everything from TVs to hoverboards. This handset, which sells €359.95, has some very admirable specs and looks good too. Powered by a MediaTek MT6757 octa-core CPU running at 2.3GHz, it’s got 6GB of RAM, 64GB of storage and a microSD slot for more. It runs Android 6.0 and has a fingerprint sensor, 5.5″ 1920z1080P HD screen (441PPI) and a 4000mAh long-lasting battery. That should give you, say the people on the stands here, 27 hours of usage in a 2 hour charge. It has a USB-C connector, rapid charging, 16 megapixel rear shooter, 8 megapixel front, GPS, WiFi, Bluetooth and dual SIM functionality. It’s available in black and gold. 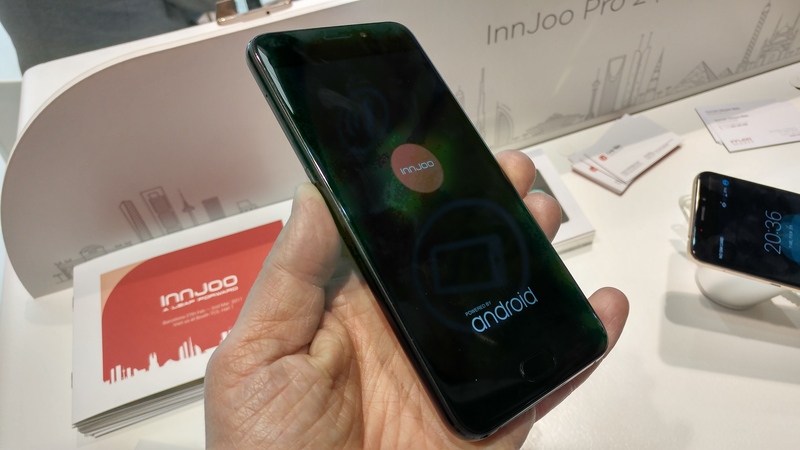 InnJoo do a whole range of smartphones (check some of them out here) including the more powerful InnJoo 4 with a deca-core 2.5GHz CPU and a 16 megapixel camera plus the Max4 Plus with a larger 6″ screen and Android 7.0. 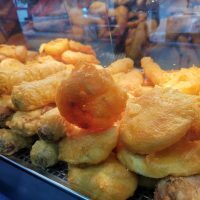 There’s also tablet, scooters, 360 degree cameras and much much more. Right now sales are restricted to the UAE, Saudi Arabia, Egypt, Nigeria, Spain, Kenya, Ivory Coast, Pakistan, Kuwait, Italy and Iran but then handsets felt well-built and had the specs to compete in other territories, so keep an eye on these guys. MWC - A year on. FlexEnable and their bendy screens. MWC - The Hisense A2 Dual-screen smartphone. Up close and personal.